Dr. Babasaheb Ambedkar Open University (BAOU) has declared notification of BAOU Admission 2015 for various course. 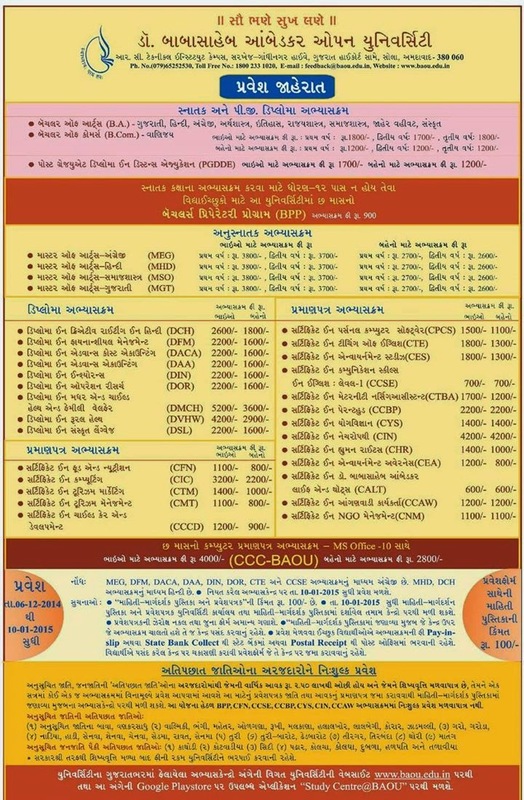 BAOU Admission Strat from 06-12-2014 to 10-01-2015. Candidates are advised to keep visiting official website www.baou.edu.in for more information.